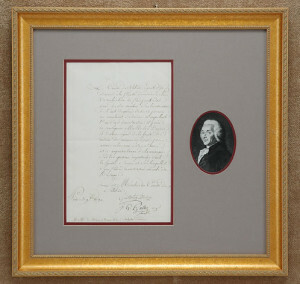 The demand for autograph signatures and signed letters of personalities in the field of medicine is far greater than the material that becomes available. Perhaps because so many people in the field of medicine are interested in its history, and also because not that many medical personalities are available in autograph material, this is a difficult area to collect. 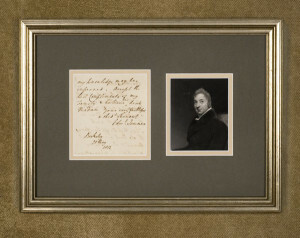 Edward Jenner, who developed the concept of vaccination, is extremely rare in autograph or in signed letters. 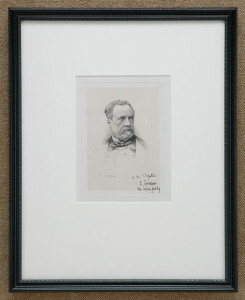 Joseph Lister, the founder of antiseptic surgery, wrote many letters, and occasionally one is available on the market. Robert Koch, the German bacteriologist, is very rarely seen. 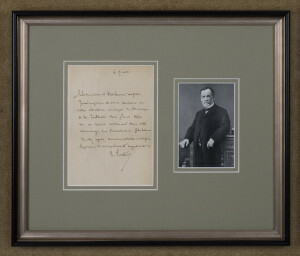 Louis Pasteur was busily engaged in solving many problems, including those relating to the fermentation of wine and beer, and his most famous success was developing inoculations to protect both man and animals from rabies. Despite his fame during his lifetime, his autograph material is scarce. 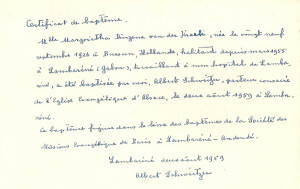 His signed letters have been collected by institutional libraries and only occasionally are available for collectors. Jonas Salk, the discoverer of the polio vaccine, was happy to send his autograph signature to admirers, and on rare occasions, signed photographs. And he is a very popular figure among those interested in medical history. 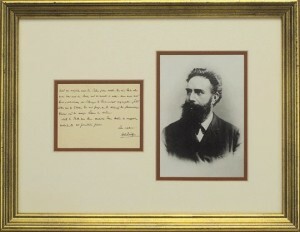 Wilhelm C. Röntgen, the German physician who discovered X-rays in 1895, wrote very few signed letters that have survived, and those that are found are eagerly sought after. 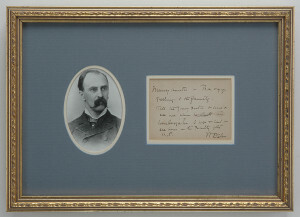 Sir William Osler is a very popular figure among those interested in medical history, but his signed letters are very infrequently found. More available have been signed letters of Florence Nightingale, who had great influence on patient care and hospital reform. 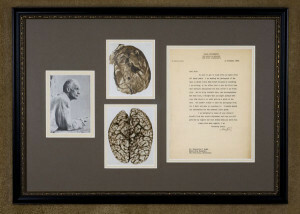 The American neurosurgeon, Harvey Cushing, had a very active practice, and the rarity of his signed letters results from his popularity. Sir Alexander Fleming, the Scottish bacteriologist who was one of the discoverers of penicillin, was a well-known figure during his lifetime, but his signed letters are still rare. 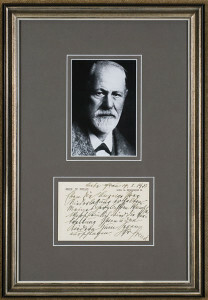 Sigmund Freud, one of the most influential people of the 20th century, has been avidly collected. He very rarely would give a signature to an admirer, but he wrote many signed notes and signed letters in his psychiatric practice, all of which are now very scarce. 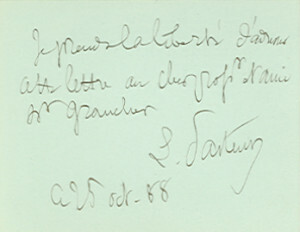 Autograph material of Carl Jung, the Swiss psychologist and psychiatrist who founded analytical psychology, is also very popular and scarce in autograph material.